Indonesia is a large country with over 17,000 islands and the second largest coastline in the world. All that water means it’s a mecca for scuba divers and underwater photographers! 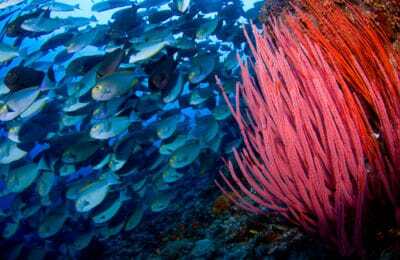 Stretching thousands of kilometres from East to West, there are a number of destinations that regularly appear in the top 10 dive sites worldwide: Raja Ampat, Komodo National Park, and the Lembeh Strait to name but a few. Raja Ampat is a visual overload both underwater with an incredible array of marine life. It’s also beautiful on land with green karst limestone islands that are a treasure to behold. Komodo National park is home to the world famous Komodo Dragon as well as some of the most varied diving in the area. Attractions range from incredible manta encounters to black sand dives with weird and wonderful critters. The Lembeh Strait, in North Sulawesi, is the original “muck diving” capital of Indonesia. 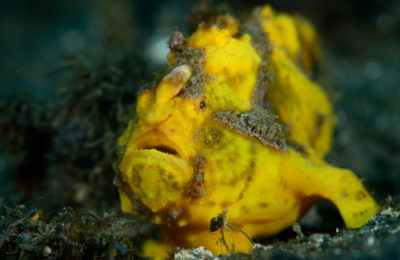 The underwater encounters with frog fish, octopus, rhinopias and more are hard to beat! 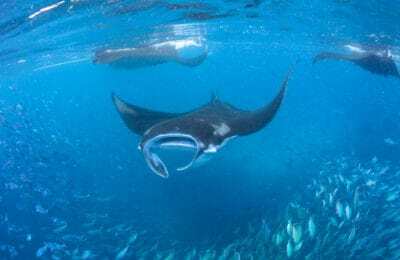 Indonesia is more than just these three destinations: Ambon, the Banda Sea, Bunaken, Halmahera, Alor, Triton Bay, and Maumere are other great diving spots that we regularly visit. We run several escorted liveaboard and resort based trips and workshops every year but the dates don’t work for everyone. Therefore, we also offer booking service with our trusted partner resorts and liveaboards throughout Indonesia. Due to our long experience within the country, we have created relationships with trustworthy and professional operators. We know many of these operators on a personal and professional level which is why we recommend them. We are happy to help you organize a trip to any of Indonesia’s wonderful locations or even a combination trip. Our team also books domestic flights in Indonesia as often it’s not easy to book from overseas. If you are interested in diving anywhere in Indonesia please Contact Us and we will help you create a dream itinerary with the best operators. We have years of experience of diving throughout the Indonesian archipelago from Cendrawasih Bay in the East to Sumatra in the West and everywhere in between. Allow us to help you create the ultimate Indonesia diving holiday by either joining us on an escorted trip or booking your dive adventure with one of our trusted partner resorts or liveaboards in areas outside of Bali.